9. Lightly cover a baking tray (or even better a clay baking stone if you have one) with flour and preheat in the oven for 5 minutes. Place the pittas on the hot baking tray and bake for 5-10 minutes or until they are puffed up. 10. 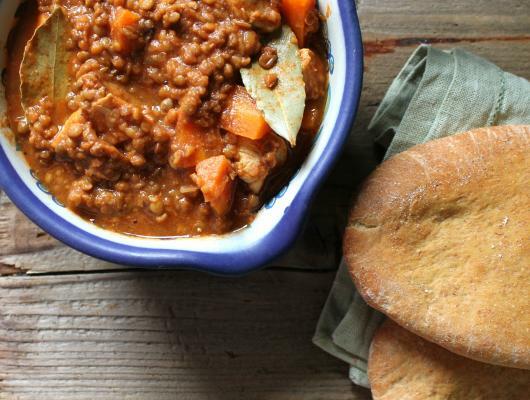 Serve the stew with the pittas while they are still warm. 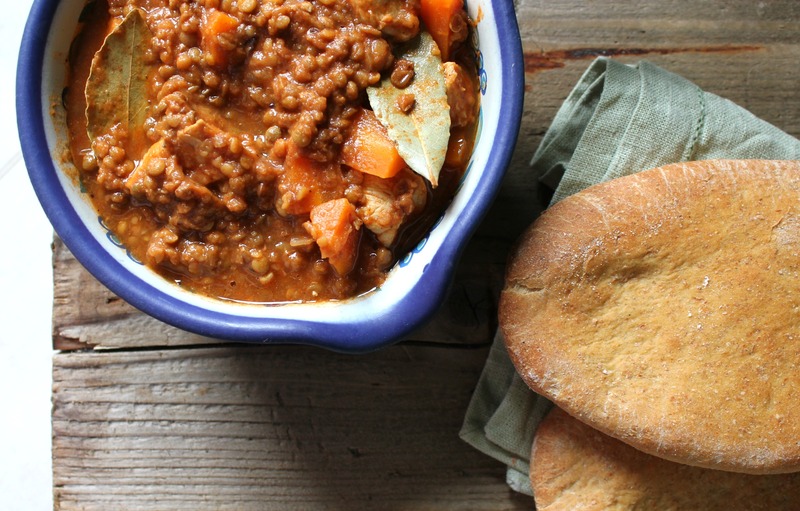 Harissa chicken stew with cranberries and lentils. Homemade cumin pittas to go with it.